Debunking 4 Common Roof Repair Myths - Roofing & More Inc. The roof is a home’s most vital protection against the effects of the elements. However, myths about roofs are common among homeowners. Unfortunately, these misconceptions can lead to moisture problems, high energy bills and even structural damage. Today, we explore four of the most common roof repair myths. Adding more than the recommended amount of attic insulation can end up blocking ventilation openings and trap moisture. This can warp and rot sheathing, causing mold infestation. Attic insulation must be balanced with proper attic ventilation, which eliminates moisture buildup and maintains steady attic temperatures. Laminated and fiberglass-reinforced shingles are now better than ever. Some are even warranted to last 50 years with wind resistance up to 130 mph. Roofing & More is a roofing company certified by GAF and CertainTeed. 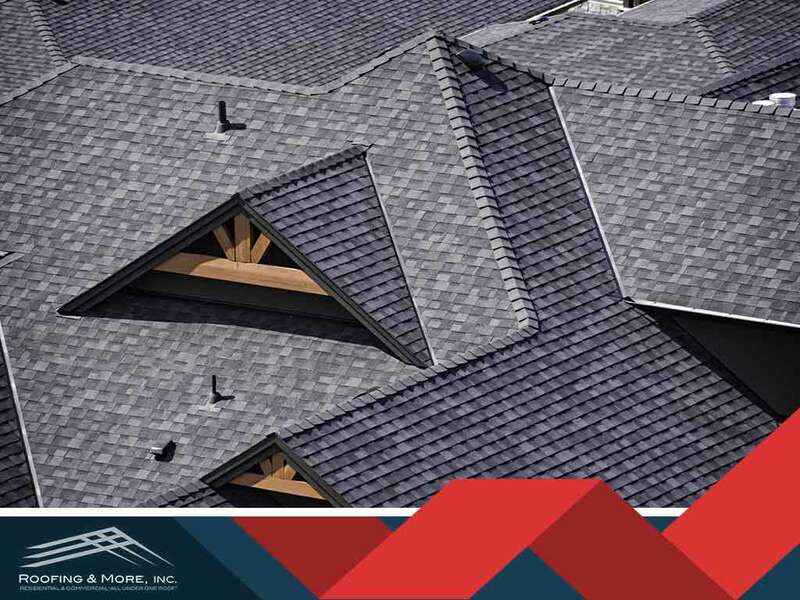 We offer shingle products which come with limited lifetime warranties. Gutters play a vital part in keeping a home free from water damage. Not caring for them properly can create issues with a roof in no time. Clogged and sagging gutters can cause leaks and ice damming. A faulty gutter system can cause rot on fascia boards and soffits, as well as the sheathing at the roof’s edge. Flashing keeps water out of the gaps around vents, pipes and other roof openings. A common belief is that it needs replacement only with a new roof. The fact is, flashing can fail at any time and ruin an otherwise sound roofing installation. Have your flashing checked regularly by our roofing expert. Let a trusted roofer handle your next project. Roofing & More, Inc. serves homeowners in Alexandria, Burke and nearby communities in Northern Virginia. Call us today at (703) 828-1620 for a free roof assessment and estimate!